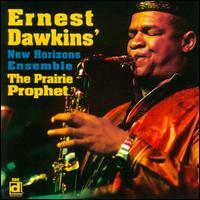 Ernest Dawkins has been a stalwart of the Chicago jazz scene for over four decades. He is the Chairman of the influential Association for the Advancement of Creative Music (AACM), which was as founded by follow sax legend, the late, Fred Anderson. Dawkins has built a solid reputation on his keen ability to blend both post bop and free jazz into something that is both accessible and adventurous all in one listen. Ernest Dawkins expansive group, The New Horizon Ensemble shares slight similarities to follow Chicago avant-protagonist, The Art Ensemble Of Chicago. They both share unique ability to shift gears at will within a piece. 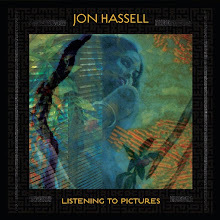 While startling on first listen it becomes more clear and exciting upon the second spin. Moments of spirituality and personal empowerment bubble to the top in many of his recordings. All these aspects are on show on his new release, The Prairie Prophet. The Prairie Prophet is dedicated to his friend, Fred Anderson and his much beloved venue, The Velvet Lounge in Chicago. The club was a bastion for free improvisation and thinking. The album opens on a gospel-tinged but political note with "Hymn To A Hip King" which is both a subtle tribute to Anderson but more a statement of great African American leaders such as Malcolm X and Martin Luther King Jr. The piece opens like a Sunday morning roll call all the while holding on to some beautiful post bop sensibilities. The performance from both Dawkins, Hill, Parker and Johnson are real emotional standouts--bristling with energy and joy. "Sketches" delivers on that AACM heritage with uptempo rhythms and time changes and some fierce playing by Dawkins and Spencer. "Sketches" is a great example of Dawkins philosophy of playing what some may call "inside/outside"--the ability to play both accessible language built on an avant garde theme (or vice versa). "Mesopotamia" written by Steve Berry is a lovely, meditative piece that explores the range of the entire ensemble. It's a ballad with a great deal of depth and range. Berry and Spencer take the lead in the beginning with great solo work. Parker joins in later with an effective and resonant performance. Dawkins closes out the piece with a gentle and impressionist display. The closing number "Baghdad Boogie" is a whimsical yet jumpin' number that also serves as political statement on the horror in Iraq. The ensemble displays a real craft for melodic movements within solid, bold statements. The chants, vocals and force of Dawkins sax and the intricacy of Parker, Paul here delivers a real impact for me. There have been very few musical statements in jazz about the war. "Baghdad Boogie" hearkens back to the Black Power Movement of the late '60s and '70s and the Vietnam War. A great close statement. The Prairie Prophet is yet another stellar and importnat document from the Chicago scene that blends the old and new guard thoughts with ease. 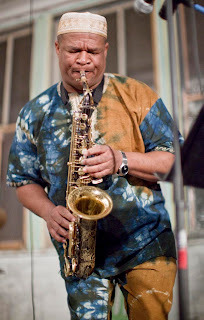 Ernest Dawkins keeps the flame and philosophy of AACM, AEC and Fred Anderson alive with another powerful performance that while it might be label as free jazz is still thought-provoking and listenable by any music fan. Highly Recommend.